Mount Kirishima is the first designated national park in Japan and the Kirishima region sits at the foot of these mountain ranges amidst the hot springs that bubble from below. This area, which has historical ties to the myths surrounding the founding of Japan, is where Kirishima Kanko Hotel is located. Our guest rooms have an atmosphere that evokes images of the good old days. We offer various types of rooms including a special room with history, a modern Japanese room, Western room, and Japanese-Western room, as well as rooms with outdoor baths. Our most popular guest room is the modern Japanese room that comes with its own foot bath. In this room, you can enjoy the foot bath as you look out at the Kagoshima Bay. And on clear days, you even have a view of the haze that hangs over the Sakurajima volcano. After relaxing in your room, enjoy our fountainhead sourced natural hot spring onsen bath. 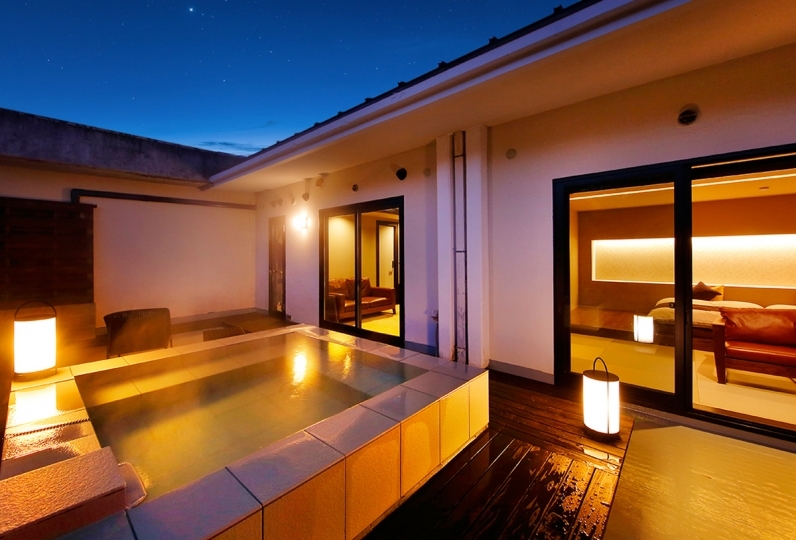 Enjoy soaking in the high quality onsen water as you look out at the great outdoors of Kirishima from the large communal view bath. Our outdoor bath constructed of Kirishima lava rock is also quite popular. Enjoy a luxurious soak amidst the seasonally changing scenery of our garden. Our kaiseki style cuisine focuses on locally produced, fresh, flavorful ingredients and is prepared with both our chefs' skill and heart. Enjoy incredible ingredients from both the ocean and mountains, such as the free-range chicken raised in the foothills of Kirishima, the Kagoshima specialty pig, the abalone, and the Japanese spiny lobster. We also offer over 170 different types of high end shochu from Kagoshima prefecture's 104 breweries in our 『Satsuma Shochu Cellar』. 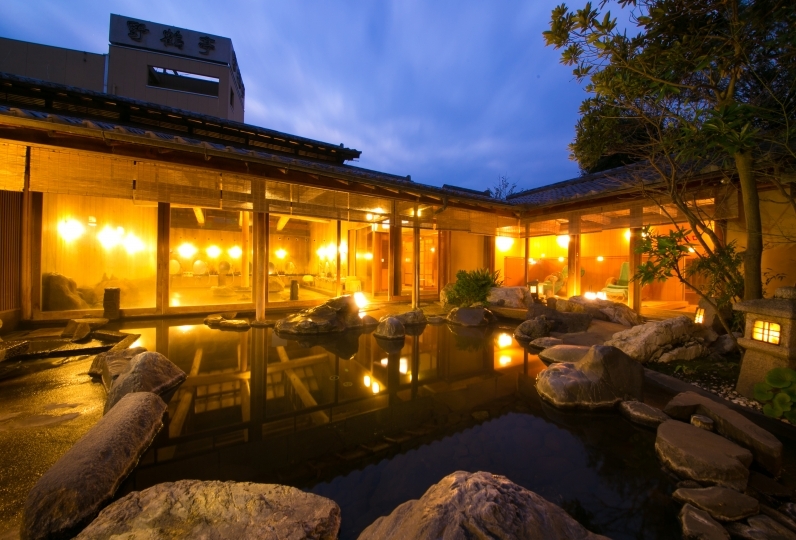 Enjoy a luxurious vacation as you refresh your body and soul at the Kirishima Kanko Hotel, located in Kirishima, one of the most prominent onsen regions in Japan. - 작은 수건의 경우 온천장에 추가로 배치해 주면 좋겠습니다. - 직원들이 짐을 방까지 옮겨주지 않는 점이 실망 스러웠습니다. - 식당 시설이 매우 근사하고 멋졌습니다. - If you have a small towel, you may wish to place it in the spa. - It was disappointing that the staff did not move their luggage to the room. - The restaurant facilities were very nice and nice. 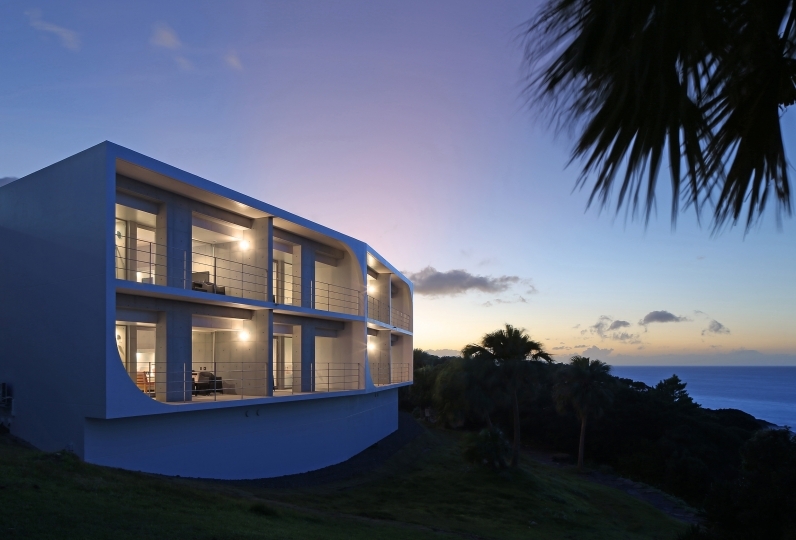 【3 nights and 3 nights from December 31 to January 2 【Luxury at the top floor】 Overlooking Kirishima superb view! DX twin (no-smoking) room and 【Tatami bath specification】 We took two rooms of modern Japanese style room with open-air bath with source sprinkling (no smoking). The room on the top floor was a room where you could see the Jinjiang Bay. Cleaning was impeccable and there was a feeling of cleanliness. The room was equipped with a massage machine and an air purifier (with humidity), and I was pleased with the service that was attentive. 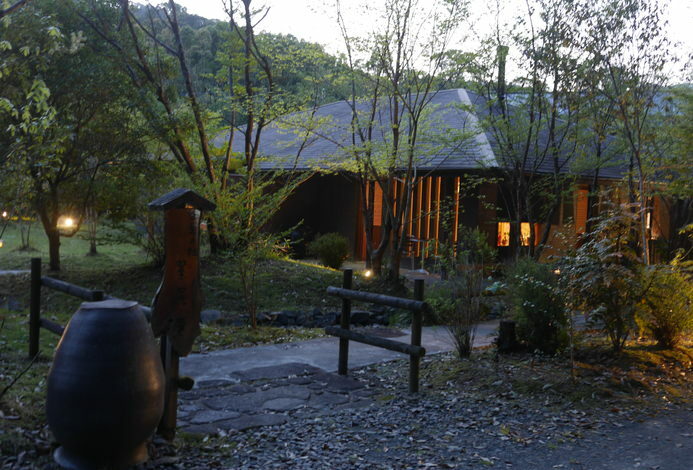 The room with another outdoor bath is also wonderful, and it was attractive to put in hot springs easily anytime. Moreover, the floor of open-air bath is tatami floor covering. The washroom was able to enter many times because there is a door out there and ingenuity is being made to make it possible to enjoy the open air with confidence even at cold temperatures in January. The meal was satisfactory in both quantity and quality. I also enjoyed the taste. Everywhere from the receptionist to the hall staff, the staff responded to the foreigners at first and was puzzled at first, but I was impressed with fluent Japanese, detailed explanation · smile. I think that it was a wonderful hospitality. My mother was aged 85 and older and knee was weak so when traveling from the South Building to the main trunk it was a satisfying trip except that the stair climbing seemed to be painful. I used my 3 year old son and my 1st year old son and used a family room with an outdoor bath. The two okayama playing baths as "pools" saying that they did not come out fun. Quality of spring: It has thermal insulation and warmed to the core of the body. Rice: Appropriate amount with the content that made use of the characteristics of Kagoshima both at night and in the morning. It was delicious. I think that children can spend a pleasant time by playing because it is a big facility. Please let me use it again. Thank you very much. Meals are served at our Restaurant Paris. Dining times will be determined upon check-in and will be between 18:00~20:30. Breakfast will be served at our Restaurant Paris between 7:00~9:00. Enjoy a luxurious onsen experience with the 『large communal view bath』 that is the only bath in Kirishima to overlook Sakurajima, the 『lava rock outdoor bath』 which is constructed from the lava rocks of Sakurajima, the 『private rental outdoor bath』, and the 『foot bath』! While the onsen water is simple alkaline spring water that is primarily transparent and colorless, the water that flows out of the spring gushes out at such a high pressure that it creates a slight milky color and has a high content of crystallized minerals (known as yu no hana), making it excellent for people who suffer from neuralgia, rheumatoid arthritis, lower back pain, and cuts. There are also beautifying benefits for the skin. The only shochu cellar in Kirishima that is curated with over 170 different types of Satsuma shochus. Currently, the cellar operates as a store. 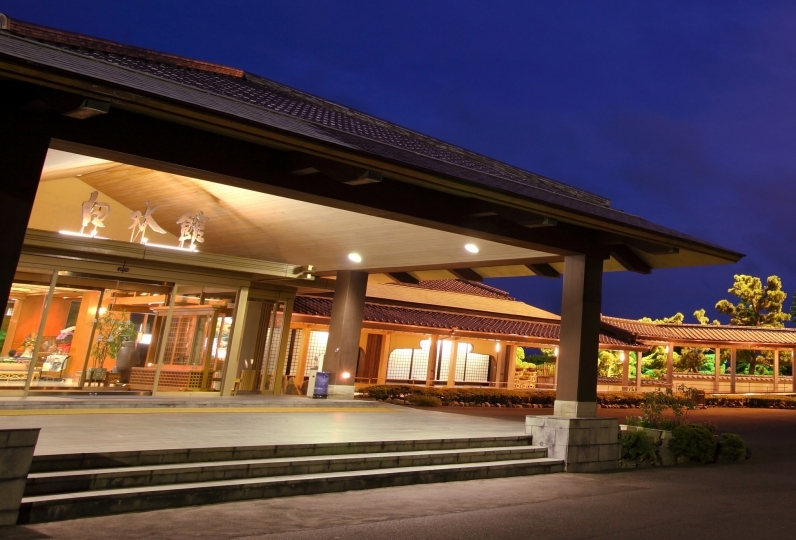 A resort hotel that is inconspicuously located in the forests of Kirishima. The hotel offers a large communal view bath and outdoor bath from which you can view Mount Kirishima as well as the majestic Sakurajima volcano that floats in the Kagoshima Bay. Enjoy our famous onsen that has been loved for over 300 years since Yoshitaka Shimazu of the Satsuma Domain (Edo period warrior) was cured by the spring water. 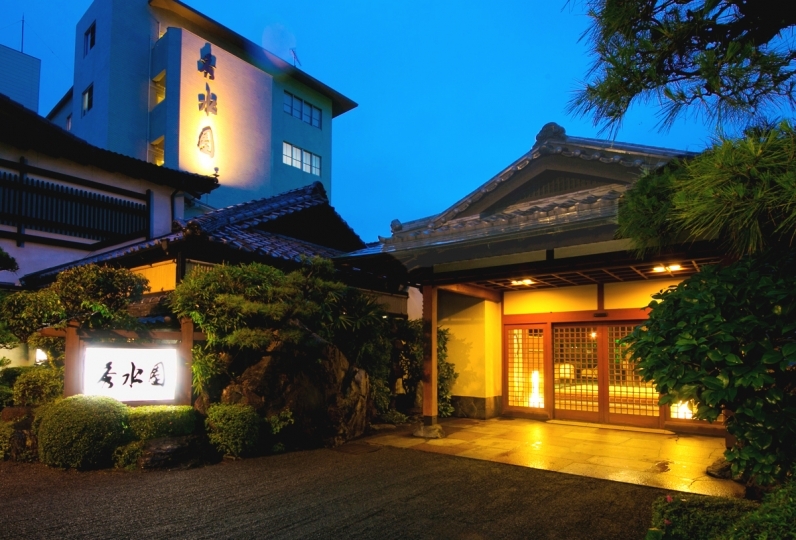 For dinner, enjoy a cuisine filled with the delicious flavors of Kagoshima. Additionally, we offer various types of guest rooms, a private rental outdoor bath, a shochu cellar, and a foot bath with table. We do not offer free pick-up or drop-off services. We apologize for the inconvenience. Please refer to the bus time tables on the hotel's website.